Good Morning everyone and Happy Monday!!!! Today I'm sharing a recipe for my Cheesy Au Gratin Potatoes made with a yummy cheese sauce. Some of you may remember back in March I mentioned that as a Velveeta Kitchenista's, I would be creating a few Velveeta inspired recipes throughout the year. 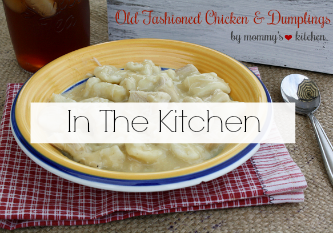 Well, today I’m bringing you two recipes from our Fathers Day get-together that I hosted with family and friends. I served these yummy Cheesy Au gratin Potatoes and they were a huge hit. This is my own creation and it gets prepared at our house quite often. These delicious potatoes are so versatile and can be paired up with just about any meat. 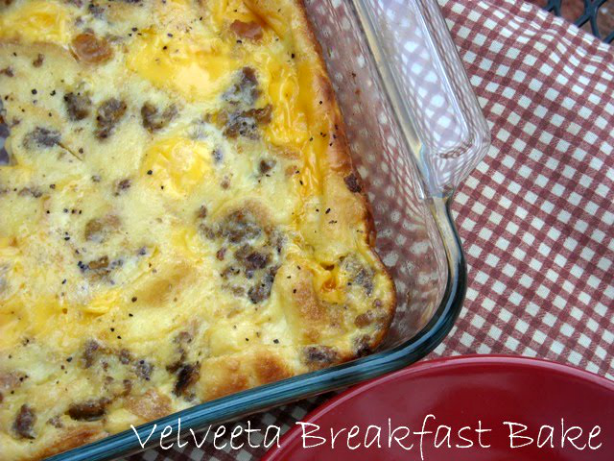 I also want to share a second recipe for this easy Velveeta Breakfast Bake. Don't just just spoil dad at dinner, but spoil him the whole day by adding breakfast in bed!!!! You can assemble this easy breakfast bake the night before or the on the same day. If you want to save time, assemble this dish the night before and refrigerate. This recipe is perfect for holidays or over night guests. Spray a 13x9 inch baking dish lightly with non stick spray. In a large bowl add the cubed bread cooked sausage, shredded cheese, onion and green pepper if using. Lightly toss and set aside. In a separate bowl add the egg and milk and whisk together. Pour the egg mixture over the bread mixture and mix to combine. Pour into a greased 13 x 9 inch baking dish. Sprinkle with salt and pepper to taste. Bake uncovered, at 350 degrees for 1 hour or until a knife inserted near the center comes out clean. Let stand for 5 minutes before serving. Cook's Note: 2 cups shredded cheddar cheese can be substituted for Velveeta cheese. 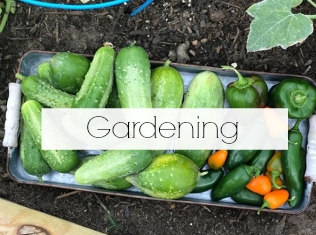 This recipe can easily be cut in half and baked in a 8 x 8 inch baking pan. Bake 30-40 minutes for a half recipe. Overnight Method: Assemble the casserole the night before and cover with foil. Place in the refrigerator overnight. In the morning uncover casserole and let stand at room temperature for 30 minutes before baking. Cook the potatoes and cool. When cool slice into 1/4 inch slices and set aside. In medium size sauce pan prepare the white sauce. To the prepared white sauce add the Velveeta and stir until the Velveeta is melted and the sauce is smooth. Add salt and pepper and stir. Add the potatoes slices to a greased 9 x 13 inch baking dish sprayed with cooking spray. Pour the cheese sauce over the potatoes and gently turn to coat all the potatoes. In a separate bowl mix the bread crumbs and melted butter together and then sprinkle over the potatoes. Cover and bake at 350 for 20 minutes. Uncover and bake 5-10 additional minutes till bread crumb topping is golden brown. In saucepan over medium heat melt the butter. Whisk in the flour salt and pepper and mix until smooth. Gradually add the milk and bring to a slow boil. Turn the heat down to low and simmer the sauce for 2 minutes until thickened; use immediately. Oh, my goodness. I could kiss your toes! We switched over to a dye-free diet for my son almost two years ago & I've missed having Au Gratin potatoes since then. 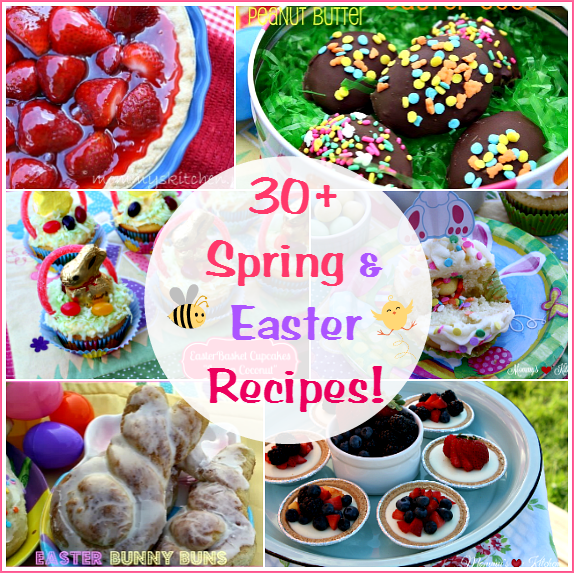 I haven't been able to find a recipe that fit my son's dietary needs & that my family liked. This one, however, is sure to be a hit. All three of us love Velveeta. 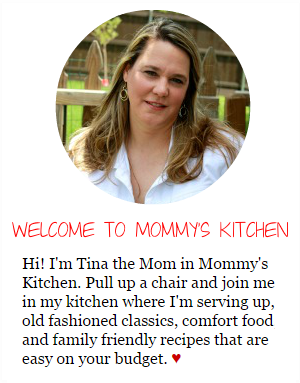 Thank you, Tina! I'm not a huge fan of velveeta, but this looks REALLY good, so will give it try, thanks tina!! OOHH they look sooo good. 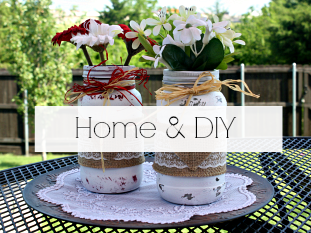 I plan on making both. Thanks for posting. 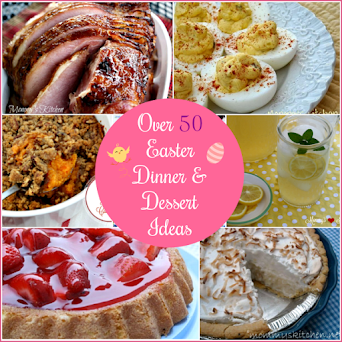 I LOVE all of your recipes and your blog! I am so glad I could help with a new recipe. It must be hard when a special diet is involved. 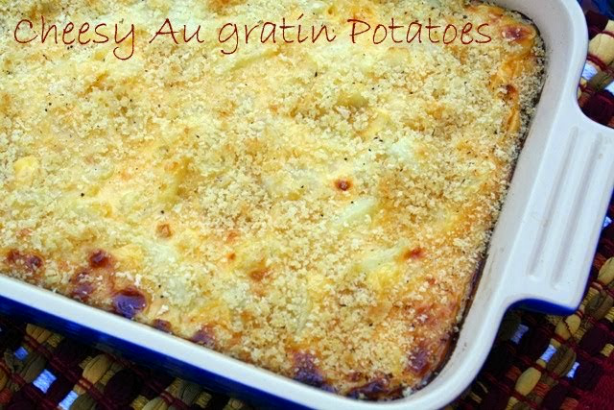 Hopefully your family will enjoy this au gratin potatoe recipe. Annie, I grew up on Velveeta so it is no surprise i love it so much. I know velveeta is really popular in the south. I hope you will give this a try it might change your mind on Velveeta. Velveeta is the way to my heart! 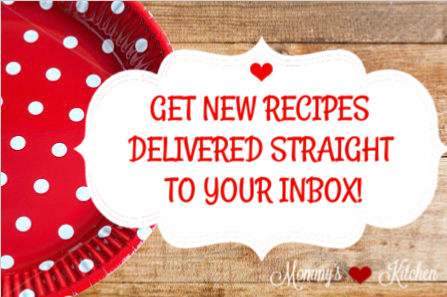 Thanks for sharing recipes that feature it! Thanks for including a video. This is a nice recipe! This is a cheesy one! These look so delicious! I just love Velveeta - I'm going to have to give these a try one of these days. My daughter and I tried the breakfast bake today and had almost as much fun making it as we did eating it. Thanks for posting the picture also, it was helpful. im a total velveeta fan and i also love béchamel sauce. this recipe seems perfect! !